Bretz x Christian Lacroix. The models on the left do not fit the scene, though. We paired some of the furniture we found at the IMM furniture fair with their fashion/lifestyle inspirations. TOM TAILOR x Dead Poets Society. East coast intellectuals welcome. Minotti x James Bond. Looks like “Goldfinger” had his hand in this one. Minotti x Mad Men. 1960ies are gogo at Minotti. Complete with smoke-filled rooms and strange hair-dos. MICHALSKY x GARY GLITTER. The Gary Glitter of sofas: glam rock your living room. Leolux x Desigual. Colourful & ready for Kindergarden. Sofas for “unconventional” headmistresses. JOOP! x LORD OF THE RINGS. New fabric with ring pattern reminds us of a medieval hauberk. This entry was posted on January 22, 2013 by Chef de Cuisine in Uncategorized and tagged Bretz, Desigual, fashion, Furniture, Gary Glitter, IMM 2013, James Bond, JOOP, JOOP! 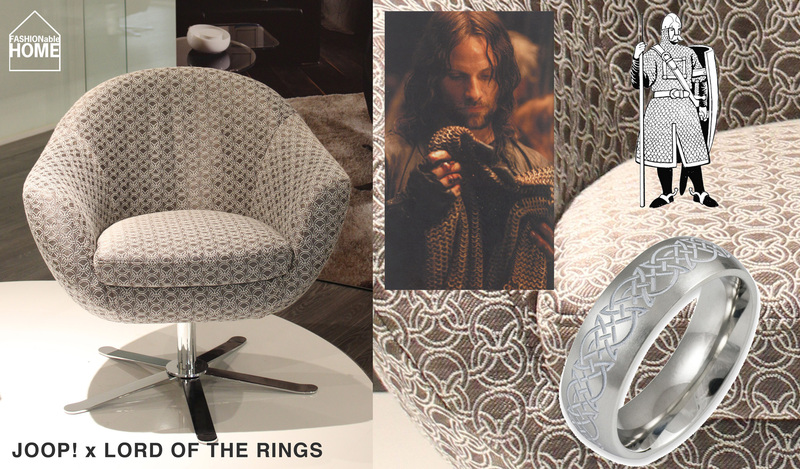 LIVING, Leolux, Lord of the rings, Mad Men, Michalsky, Minotti, TOM TAILOR.